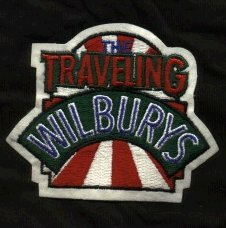 Traveling Wilburys cloth patch approx 4" by 4" issued by Warner Brothers in 1988 to promote the release of the first Wilburys album. 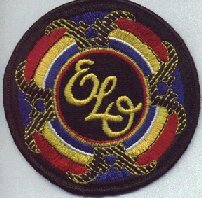 ELO patch circa 1977 approximately 4" in diameter. 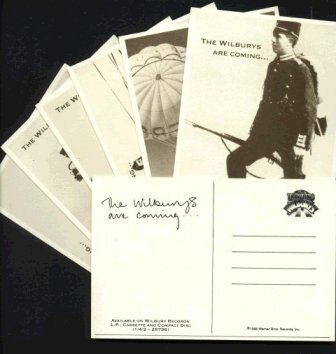 Promotional shop display for the Discovery album. 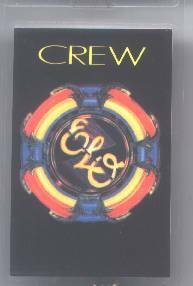 ELO - 1978 Out Of The Blue World Tour crew laminate. 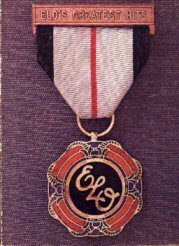 ELO 1982 U.S.A. Time tour backstage pass. 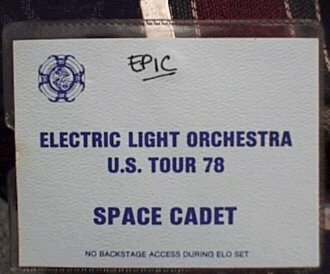 ELO U.S.A. Out Of The Blue Tour backstage pass. 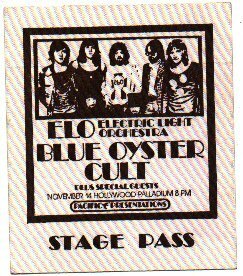 ELO / Blue Oyster Cult unused backstage pass for their concert on November 14th at the Hollywood Palladium. 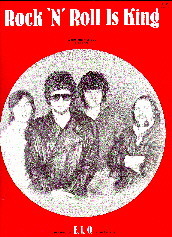 ELO - Don't Bring Me Down sheet music plus ELO patch. 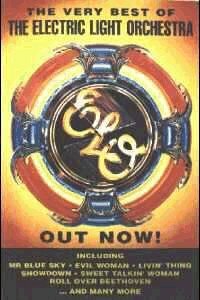 ELO - Sheet music for the track 'Rock N Roll Is King'. 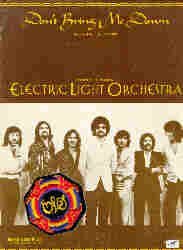 ELO's Greatest Hits songbook from 1979. 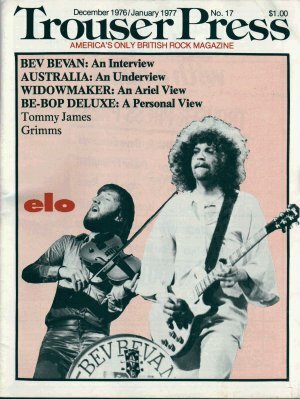 The official 8-page sheet music for ELO's 'All Over The World' single. 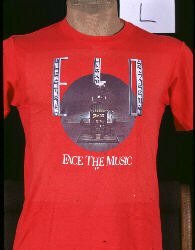 ELO - Face The Music Tour T-shirt. 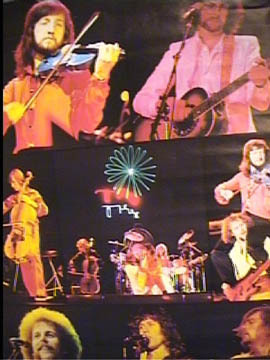 ELO poster circa 1979 printed in Scotland by Holmes-McDougall. 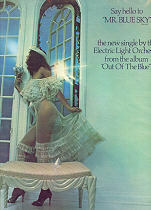 ELO - Mr Blue Sky promotional advertisement from 1978. 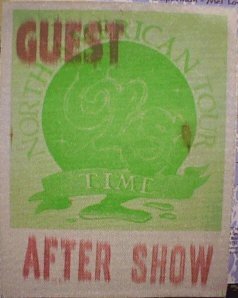 Measuring 11.5" by 14.5". 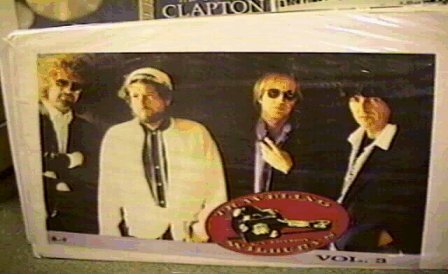 Traveling Wilburys promotional poster from 1990 for the album 'Volume 3'. 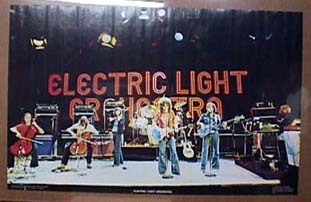 ELO 60" by 40" promotional billboard poster for the Very Best Of album.